What a great Birthday I've had! One of my favorite gifts was from my Mother who gave me a one year subscription to Birchbox. When you join Birchbox you'll receive monthly deliveries of high-end beauty and lifestyle samples from top brands. It's the best way to discover new products and buy with confidence. For me it feels like getting a Birthday gift every month for an entire year! I am a product junkie so I'm super excited about getting a box each month and discovering what's inside. Here is what I got this month! Vasanti Brighten Up Enzymatic Face Rejuvenator - Since receiving my box a week ago, I've had the opportunity to try this a few times and so far so good! I plan on doing a full review very soon so stay tuned. Before applying (because I'm cautious with what product I put on my face) I checked out product reviews for this on Amazon.com and people were raving about! I can't wait to see how it improves my skin. How Bout' Them Apples? Cheek and Lip Cream - I am a big fan of theBalm® cosmetics so I was happy to test out the cheek and lip cream. Each one of these easy-to-blend shades can be used on both cheeks and lips, and promises to not streak or fade once applied. To the touch the product is definitely creamy. It gives my cheeks a quick pop of color by just adding a tiny amount. The lip color wasn't super bold, just enough color to take my look from day to night. Miss Jessie's Super Slick Sudsy Shampoo - My hair is super thick, I've definitely got a lot of hair on this head so detangling can be a nightmare without a great product to do it with. This product promises to instantly detangle even the most intricate knots, leaving your strands sleek and uber-manageable. I'm looking forward to trying this out. Stay tuned. Supergoop City Sunscreen Serum - It literally just got hot in New York so I haven't been able to test this out just yet but I'm excited to. Day-to-day sun exposure requires the same precautions as an afternoon spent poolside. This light yet powerful serum fulfills that everyday need. Both a moisturizer and a broad-spectrum SPF 30, it fights the signs of premature aging. Sounds good to me! Atelier Cologne Vanille Insensée - This stuff smells amazing! For some reason this scent gives off both a masculine and feminine smell. I honestly wouldn't mind if my Boyfriend smelled like this because it smells delish on both men and women. It has a Vanilla scent but it's not overpowering. I'm smitten! 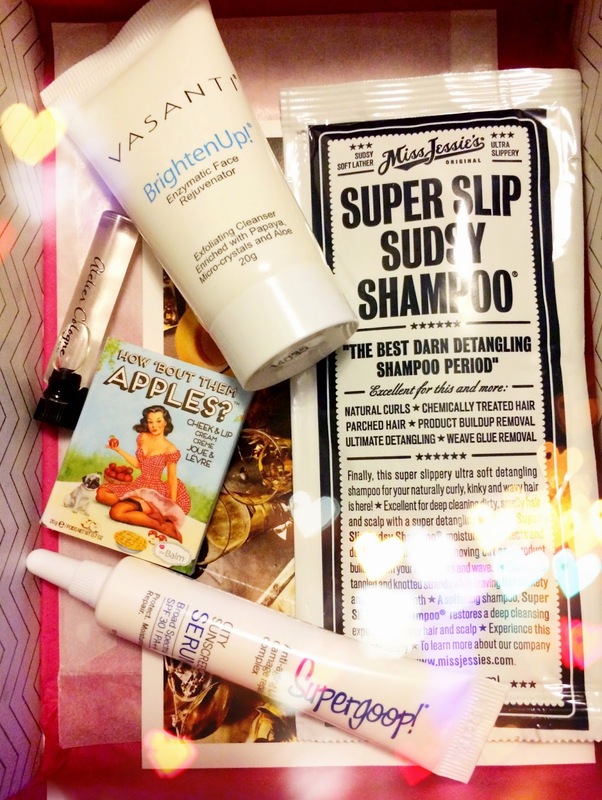 Do you have a favorite beauty box subscription service? Comment below. 3 comments on "MAY 2014 BIRCHBOX REVEAL "
oo really! Can't wait to use it! Loving the items in this month's box. Can't wait to hear your review on the shampoo.